The Tech Air Race Airbag System is a state-of-the-art, tether-free airbag protection system designed to be used with Alpinestars Tech Air Race prepared riding gear. The onboard computer system uses Alpinestars' proprietary algorithms to process the information gathered by the vest’s accelerometers and gyroscope. Should the system sense a crash, it can trigger and fully inflate the airbag in 45 milliseconds, providing comprehensive protection to the rider's full back, shoulders, kidney area and chest. The Tech Air is ready to go right out of the box—no need to install sensors on the bike or go through a complicated pairing process. Simply install the vest in a compatible jacket or race suit and go ride. The Tech Air Race comes preloaded with Alpinestars racing algorithms—the same algorithms used in MotoGP and WSBK—which are designed to detect the crashes typical of closed course competition. In this configuration, the system only uses one of its two charges at a time, saving the remaining charge for a second deployment. 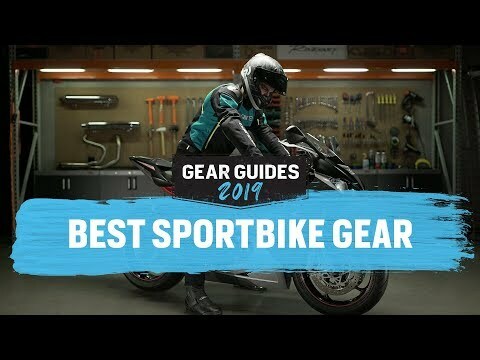 The vest is immediately ready to deploy its second charge, so if you and your bike are able to continue the race, you won’t have to do it unprotected. If remounting a crashed bike to chase a precious few championship points isn't exactly your style, the vest can be set to deploy both charges simultaneously for a quicker inflation. Due to its larger size, the 2XL size vest will always deploy both charges at once to ensure it is fully inflated in the same time as the smaller vests. The Race Vest is also compatible with Alpinestars’ street software settings, for use during typical sport, touring and adventure riding. In addition to being better suited to detecting street crashes, which typically involve a second vehicle, the street configuration fires both charges at the same time, lowering the deployment time to just 25 milliseconds. Users can quickly switch between race and street modes using a PC (no Mac compatibility, yet) loaded with Alpinestars Tech Air Connect software. The Street Vest is NOT compatible with the Race algorithms. The Tech Air System requires registration with Alpinestars. Upon purchase, RevZilla will email you your portal login credentials. If you do not receive an email by the time your order is delivered, please reach out to us for assistance. Due to the technical nature of the Tech Air System, special care and maintenance is required. Once the airbag has been deployed, the vest must be sent to Alpinestars for maintenance, repacking and cleaning. Please note that if the suit has been serviced or either of the airbags have been deployed, the vest is no longer returnable. Please read the User Manual in detail, and let RevZilla know if you have any additional questions. 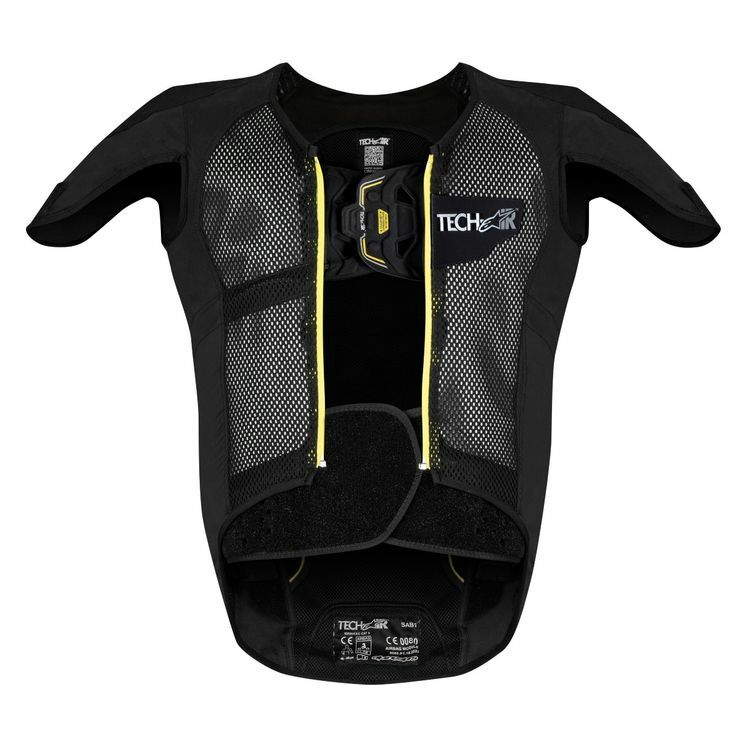 Note: The Tech Air Race Vest is ONLY COMPATIBLE with Tech Air Race prepared riding gear. It is not compatible with Tech Air Street gear. Due to its larger size, the 2XL size Tech Air Race Vest will always deploy both charges simultaneously.